Thoroughly enjoyed our week at the Falfeira apartment. It is clean, comfortable and spacious. All rooms are a good size and the kitchen is very well equipped for 'dining in'. The large terrace overlooks the pool. Although located on the outskirts of Lagos it is an easy walk to both the marina and the old town. Local property manger Ana was very helpful. 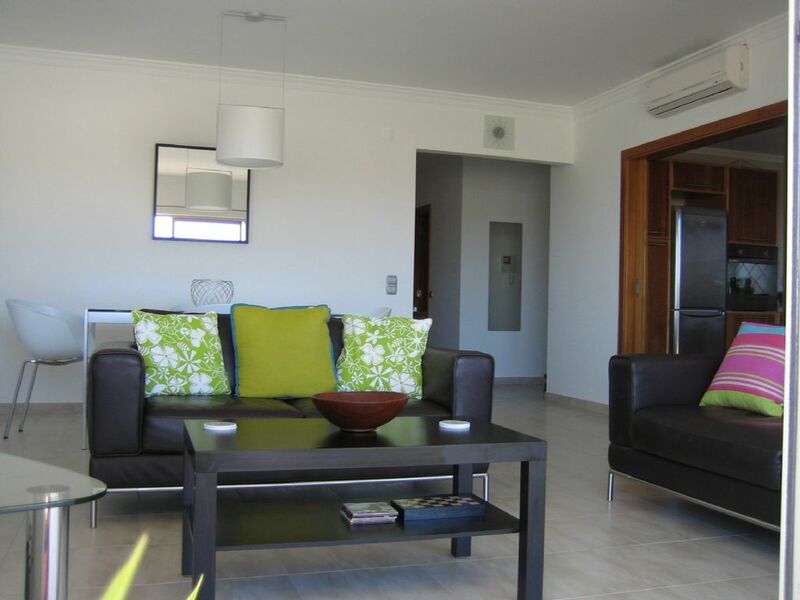 We are regular visitors to Portugal and this is one of the best apartments we have stayed in. Recommended without hesitation! Nice place to stay :) everything is provided what you would need on your holiday! The Apartment is close to the city center and to amazing beaches but located in a calm an quiet area. Férias inesquecíveis! Apartamento espetacular, bem localizado e muito bem equipado. Vamos voltar! Mário Tavares da Silva S.
Este apartamento de férias é, sem dúvida, um dos mais bonitos e funcionais em que já estivemos. Bem localizado na vila de Lagos, a pouco metros da marina, encontra-se inserido num resort muito calmo e agradável, próximo do centro da vila e de tudo o que uma família precisa para umas férias revigorantes. Registamos o excelente nível de equipamentos de que o apartamento dispõe e, sobretudo, a limpeza do mesmo e das partes comuns, incluindo a sua agradável piscina. O apartamento dispõe de uma ampla varanda com vista para a piscina e de onde pudemos desfrutar belos jantares em noites com temperaturas muito agradáveis. Correu tudo muito bem, desde o momento em que reservámos o apartamento até ao momento em que saímos. Nos dias que correm, como não podia deixar de ser, a internet que serve a casa tem um sinal perfeitamente adequado para uns jogos em família. Saindo do apartamento, descobrimos um sem número de maravilhas naturais, como as belas praias e grutas que fomos visitar. A gastronomia tem também lugar de destaque nestas férias ou não estivéssemos nós numa terra de bons pratos de peixe e de marisco! Parabéns ao proprietário e a toda a equipa que permitiu que tudo fluísse sem sobressaltos! Beautiful apartment,,spacious ,airy and bright.Everything you could need in this apartment plus more. Definitely home from home .Thank you Manadge . Schöne Wohnung, sauber und gut ausgestattet. Wir haben uns wohl gefühlt, prima geschlafen. Die Bäder sind top, Küche hat alles, was man braucht, schönes Geschirr und Gläser. Auch der Pool war groß genug zum Schwimmen. Leider funktionierte das SAT-TV nicht. Außerdem haben wir völlig unterschätzt, dass die Wohnung direkt am Kreisverkehr und Verteiler der N 125 liegt und auch McD dort das Drive-in hat. The apartment is in a great location with short walks to both Lagos Center and the Marina. The owners representative could not have been more helpful meeting us on arrival and explaining how every thing worked. The apartment was clean and bright with a lovely pool, a bit cold for us. Nice terrace to sit out on but view not great with busy road and McDonalds next door. However there was a movable screen which helped. Lagos is a lovely town with lots of nice restaurants and during the day very vibrant but a little quite at night.